If you enjoy these photos, we'd love a like or share! 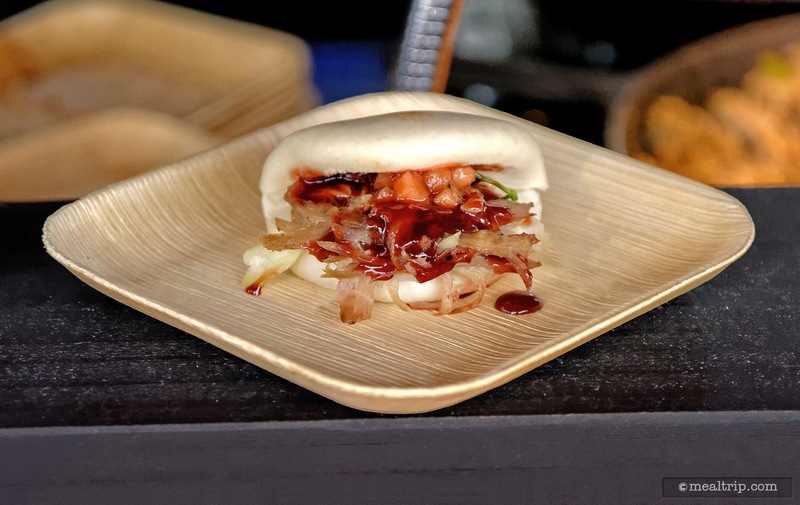 The Char Siu Bao features a Steamed Pork Bun with Gingered Grilled Pineapple & Hoisin Sauce from the Asian Market. 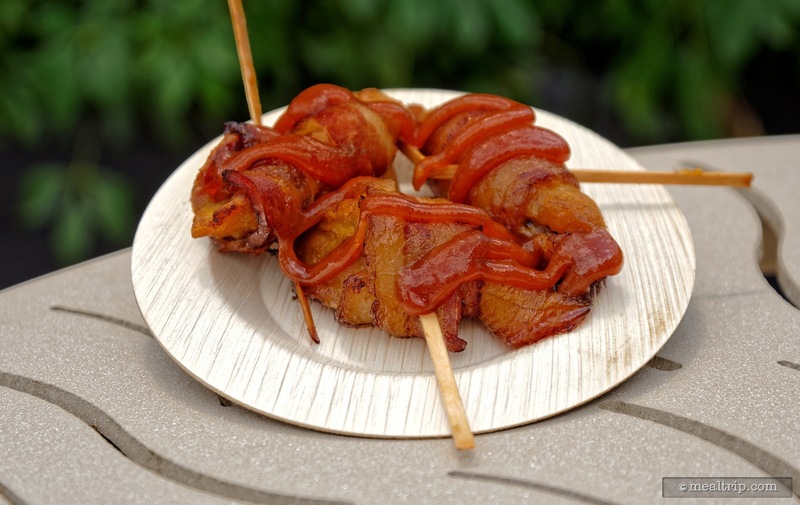 Bacon Wrapped Sweet Plantain with Guava Horseradish Sauce from the Brazilian Market. 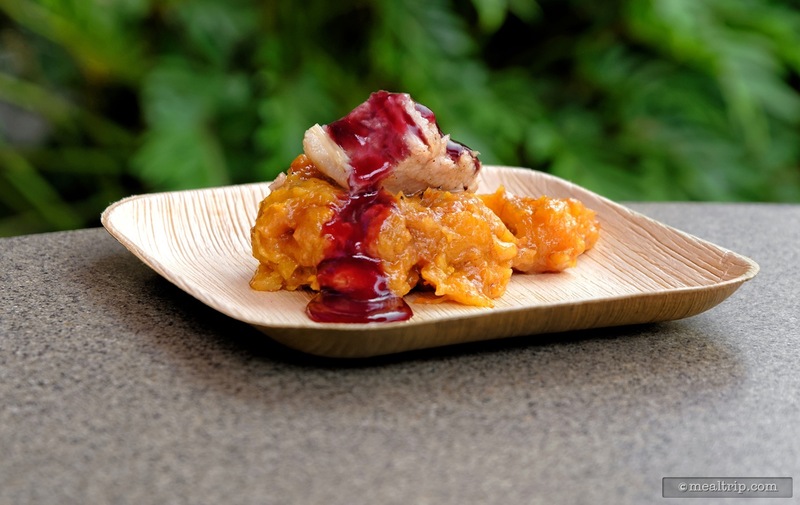 Cinnamon Slow Roasted Pork Belly with Sweet Plantain Mash and a Red Wine Reduction. This is a Gluten Free item for 2019! 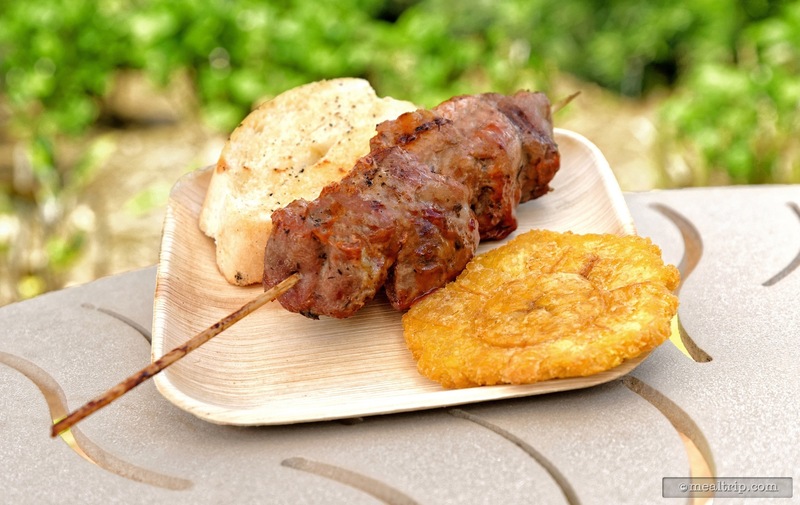 This is a Pork Pincho con Tostones from a previous Seven Seas Food Festival, but we're pretty sure that 2019's Chicken Pinchos with Tostones will look and taste just as authenic as this pork version! 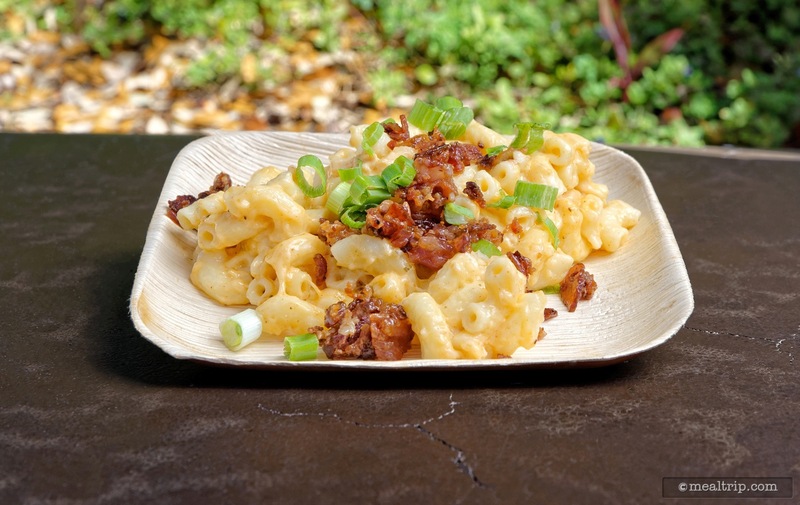 Mmmmm the Shrimp Mac and Cheese features Sustainable Local Shrimp, Bacon Bits, and Green Onion and will be available at the Florida Market for 2019. 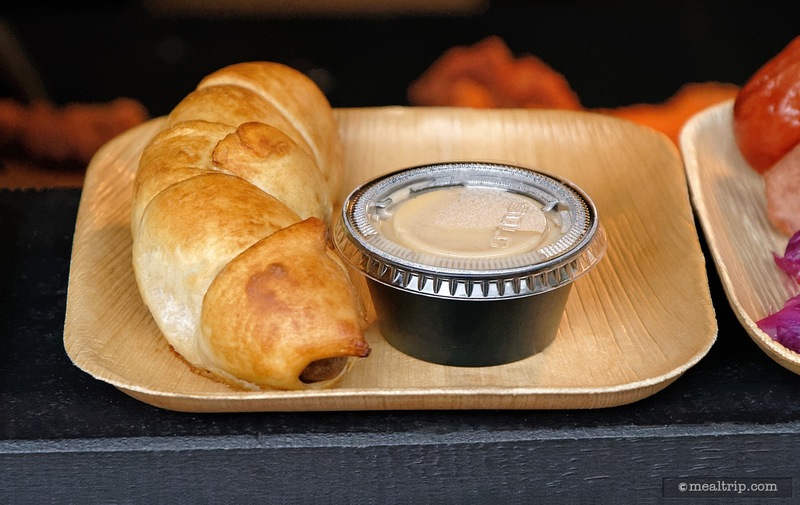 This Pretzel Wrapped Bratwurst was served with Beer Cheese Fondue and will be available at the German Market at the 2019 Seven Seas Food Festival. 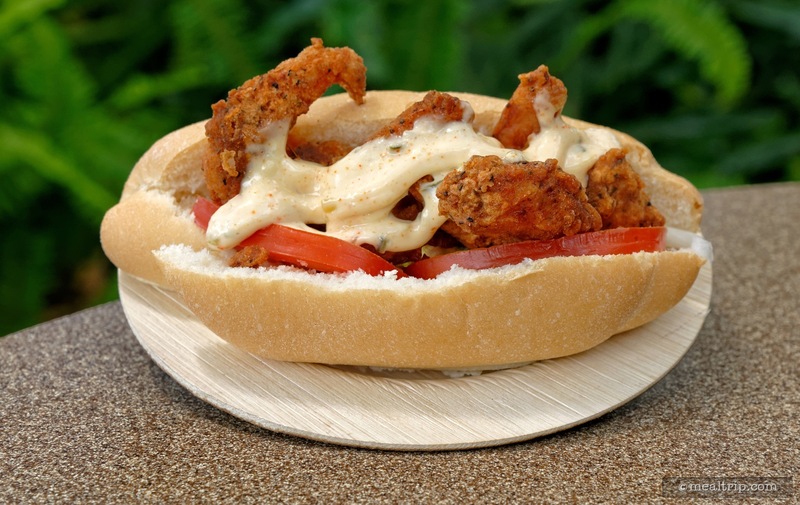 This Shrimp Po Boy was a smaller new twist of the traditional New Orleans classic, and it was oooooh so good! 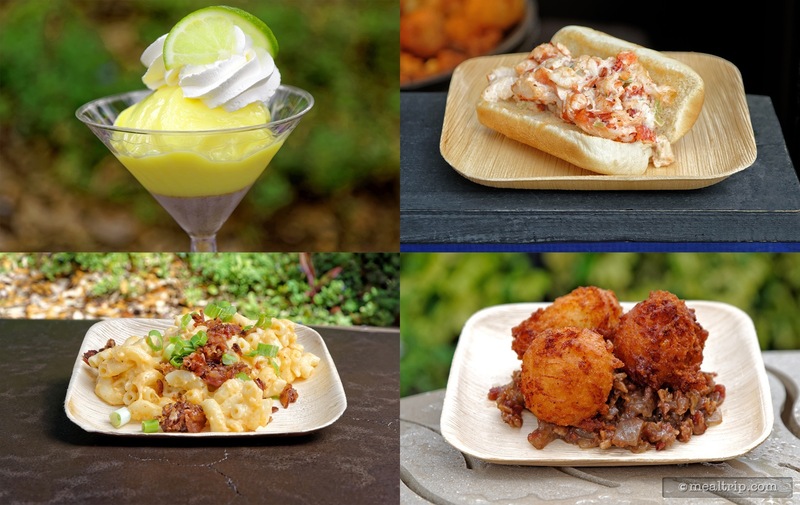 It will be available at the Gulf Coast Market at the 2019 Seven Seas Food Festival at SeaWorld Orlando. 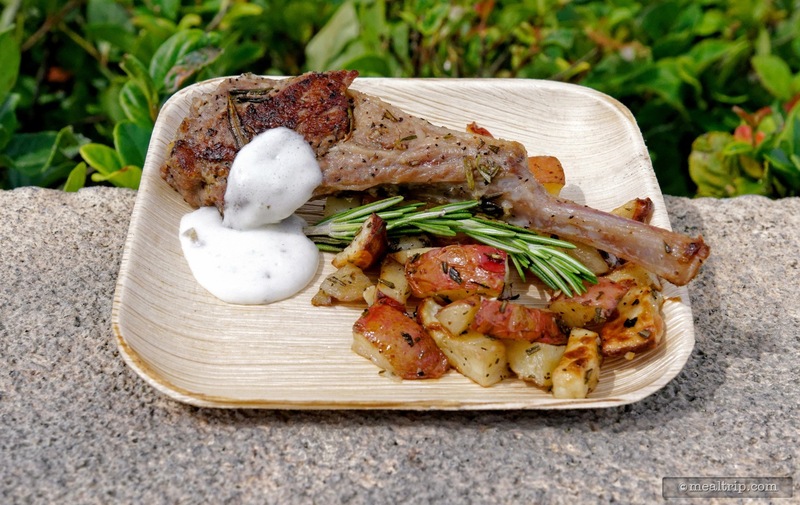 This Grilled Lamb Chop Marinated with Rosemary Mint is a Gluten Free item at 2019's Seven Seas Food Festival and will be available at the Mediterranean Market kiosk. There's so many yummy things at the Mediterranean Market Booth we had to show this one too! 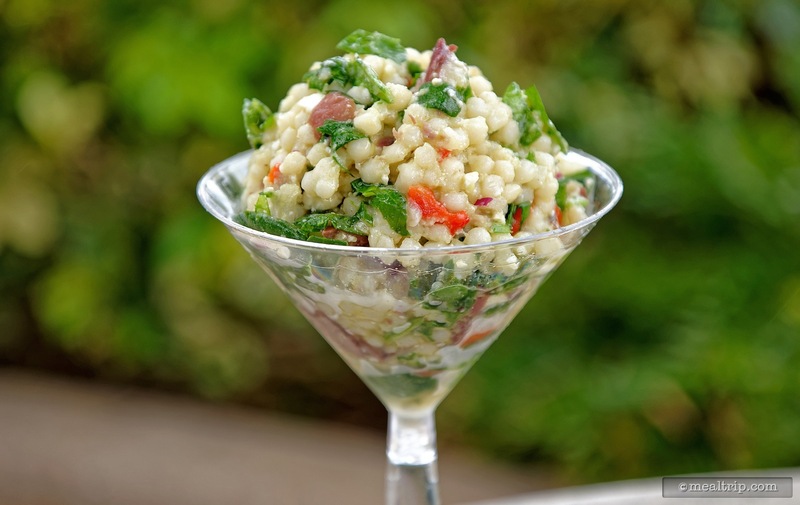 This Mediterranean Couscous Salad tossed with Feta, Spinach, Olives, Sweet Red Onions, and Peppers in a White Balsamic Vinaigrette is one of the Veg-Friendly options at the 2019 festival. 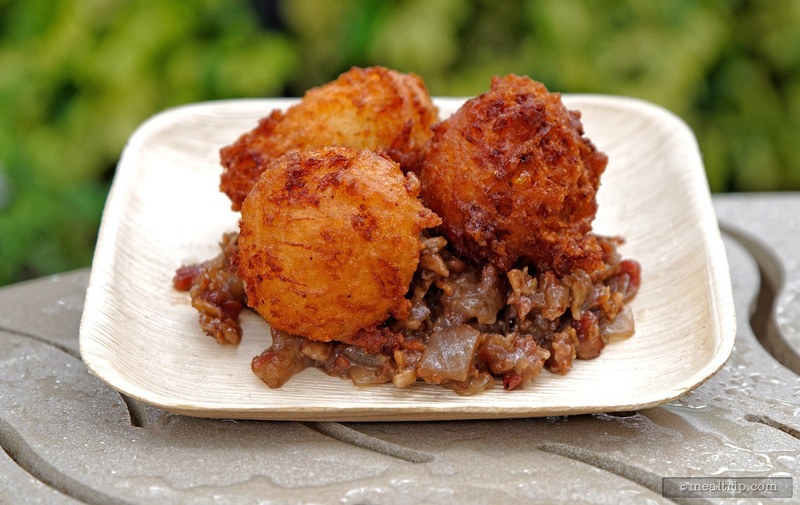 The perfect street-food — these Bacon and Cheddar Hushpuppies are great for drinking beer with (just a suggestion). They will be available at the North Atlantic Market at the 2019 Seven Seas Food Festival. 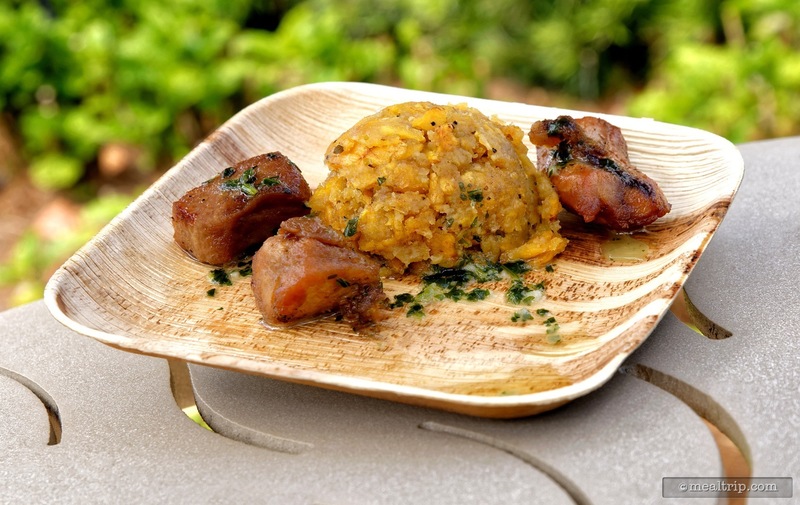 Mofongo with Carne Frita will be featured at the Puerto Rican Market at SeaWorld Orlando's Seven Seas Food Festival for 2019. Have You Been to Any of These Locations at SeaWorld Orlando?